The Baek In-je House is a glamorous mansion with an unforgiving past. Built in 1913, the house was constructed by a pro-Japanese business tycoon with the intention of utilizing the mansion for political purposes. Japanese housing elements such as Tanami rooms, a middle corridor, and black pine can be found, all used as a method of proving his allegiance to the Japan. The house was later bought by one of Korea’s first generation journalist and later to Baek In-je, an independence activist and renowned surgeon. Baek’s wife was the last resident of the house, where she died in 2011 at the age of 103. The Seoul Metropolitan Government purchased the house in 2009 from the last resident, Baek’s wife who passed away in 2011 at the age of 103. 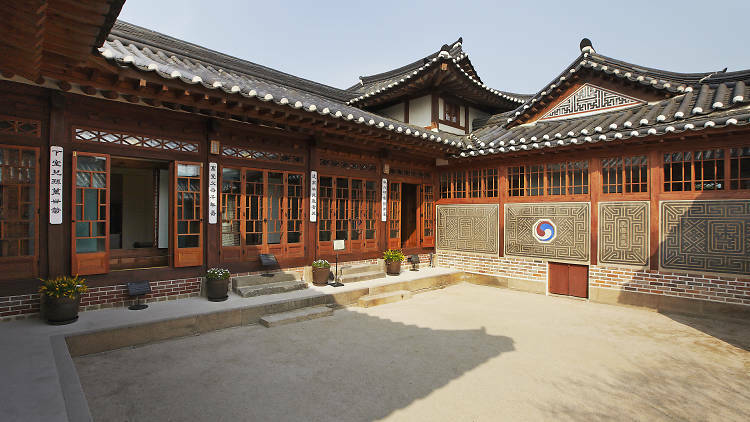 Now a converted into a museum, the historic Baek In-je house is open from 10am to 5pm everyday (except Jan. 1 and Mondays) and admission is free.